Military History Books, GERMANY'S PANTHER TANK: THE QUEST FOR COMBAT SUPREMACY,Thomas L. Jentz,Hilary Louis Doyle,Schiffer,ISBN 0887408125, THE MAGIC OF A NAME: THE ROLLS-ROYCE STORY (THREE VOLUME SET),Peter Pugh,Part One: The First Forty Years,ISBN 1840461519, Part Two: The Power Behind the Jets,ISBN 1840462841,Part Three: A Family of Engines,ISBN 1840464054,Icon Books, THE GERMAN POLICE,Antonio Munoz,Axis Europa,ISBN 1891227114,SS,Evaluation and Dissemination Section G-2 (Counter Intelligence),Supreme Headquarters Allied Expeditionary Force, ARMIES OF THE BALKAN STATES 1914-1918,Battery Press,ISBN�0898392624, DELPRADO/OSPREY AIRCRAFT OF THE ACES (MEN & LEGENDS): MOSQUITOS OF WORLD WAR 2,Martin Bowman,Juan Ram�n Azaola, ISBN�8483723425. A detailed study by noted Armour expert, Thomas Jentz, on what is considered to be the best tank of its class in WWII. 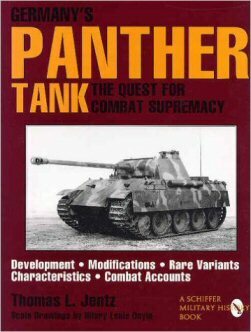 Developed to deal with the Russian T-34, the book details the Panther's development, modifications, variants and characteristics. Based on an exhaustive search of the surviving records of design and production companies and a through examination of surviving Panthers. The book includes accounts of Panther actions plus 30 pp of scale and scrap drawings by master illustrator, Hilary Louis Doyle, many to 1/35 scale. Presented in three volumes, this is the complete history of the iconic organisation, renowned for its quality and engineering excellence. Published by Icon Books, all volumes include numerous b/w photographs and illustrations. Part Three: A Family of Engines. 338pp, ISBN 1840464054, published 2002. All volumes are presented in dustwrappers and are in fine condition. 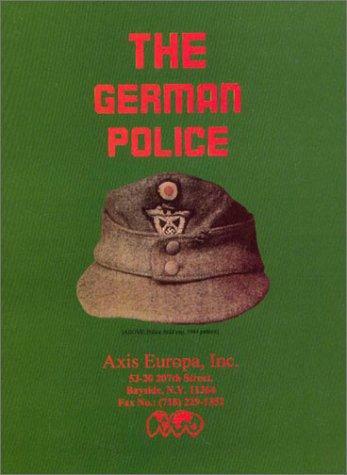 A facsimile copy of a detailed study of the SS and Police Organisations of the Third Reich. This was prepared in April, 1945 by the Evaluation and Dissemination Section G-2 (Counter Intelligence Sub-Division) of Supreme Headquarters Allied Expeditionary Force. It Contains details of uniforms, weapons, insignia and orders of battle plus charts, tables and details of structures, deployments and activities in the occupied territories. 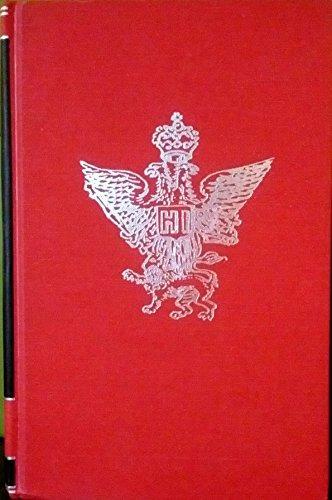 A compilation of five rare War Office handbooks produced between 1906 and 1910 on the Bulgarian, Greek, Montenegrin, Romanian and Serbian military forces at the time of the First and Second Balkan Wars and WWI. Also includes the intelligence update "Military Notes on the Balkan States 1915"
A new version by Spanish publisher, Delprado of the original Osprey Men and Legends title. 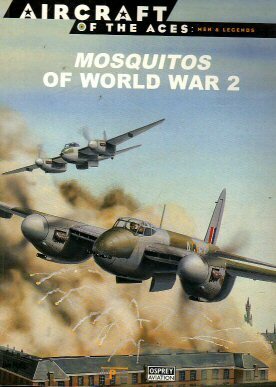 This volume focusses on the legendary De Havilland Mosquito. Truly an example of engineering ingenuity born out of the desperation of war, all-wooden Mosquito was perhaps the best twin-engined fighter bomber of its size to see action in WW2. Colour artwork is by Iain Wyllie, Chris Davey and Mike Chappell. Scale drawings are by Arthur Bentley.